Greetings from the IPSI Secretariat in Tokyo, Japan. 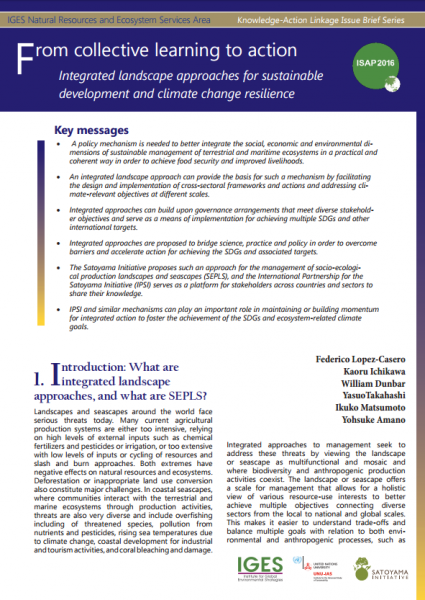 IPSI and its members continue to stay active in a wide variety of projects and activities related to maintaining and revitalizing socio-ecological production landscapes and seascapes (SEPLS). We have a lot of news this month, with a new Director of the IPSI Secretariat and also six new members joining the IPSI family. We hope you will join us in welcoming all of them. We would like to particularly draw the attention of any IPSI members who will be taking part in the IUCN World Conservation Congress in September. We hope to see many friends there and to coordinate our activities for maximum effectiveness, so please be sure to let us know if you will be attending. We also have some news to report, including reports from the recent Satoyama Initiative Regional Workshop in Peru, a Parallel Session at ISAP 2016, and an announcement of an MoU signed by IPSI members INCH and GOHMO in Malawi. These are all positive steps in IPSI’s continued growth and effectiveness. We would also like to remind you one last time of the call for proposals for SDM that we recently sent out. Please see below for more information. A new Director of the IPSI Secretariat was appointed on 1 July 2016. We hope you will join us in welcoming Mr. Naoya Tsukamoto to his new position, as we look forward to further developing the partnership and its activities under his leadership. Mr. Tsukamoto has wide-ranging experience in policy development and implementation in global environmental affairs and sustainable development, including R&D for innovative energy conservation technologies. Most recently, he worked for the Institute for Global Environmental Strategies (IGES), an IPSI member and Steering Committee member, as its Secretary-General / Principal Researcher from July 2014 to June 2016. We would also like to take this opportunity to thank the outgoing Director, Dr. Kazu Takemoto, for his years of hard work on behalf of the partnership. Dr. Takemoto will be continuing as Director of UNU-IAS, so we look forward to many more years of working with him, albeit in a different capacity. We look forward to collaborating closely with all of these new members in promoting the concept of the Satoyama Initiative in the future. The IPSI Secretariat is looking forward to active participation by IPSI members at this year’s IUCN World Conservation Congress, to be held in Honolulu, USA from 1-10 September 2016. It should provide a great opportunity for all of us to highlight our activities related to SEPLS around the world and promote the Satoyama Initiative in a global forum. We would very much like to know which IPSI members will be attending the Congress so that we can make the most of this opportunity. Please take a moment to let us know if you will be attending, and any activities or events you have planned. More information on the IUCN World Conservation Congress can be found on the event website here. The Satoyama Initiative Regional Workshop in Peru 2016 was held from 27 to 29 June in Cusco and Pisac, Peru. This was the first Satoyama Initiative Regional Workshop to be held in the Latin America and the Caribbean region, following on previous Regional Workshops in Asia (Kathmandu, Nepal, 2013), Europe (Florence, Italy, 2014) and Africa (Accra, Ghana, 2015). 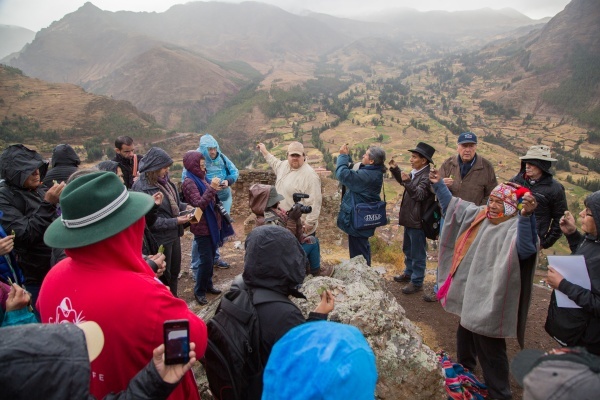 Around 60 participants from 16 countries in the Latin America and Caribbean region took part in the whole workshop, including opening and closing plenaries and a day and a half of field sessions held in the Potato Park near Pisac. Many others from the local community and those related to staff, speakers etc. also joined for some part of the events. The workshop was co-organized by the IPSI Secretariat at the United Nations University Institute for the Advanced Study of Sustainability (UNU-IAS), Asociación ANDES, and the Ministry of Environment, Peru (MINAM). The official event report will be made available when it is ready. In the meantime, updated information about the event can be found on the IPSI website here. 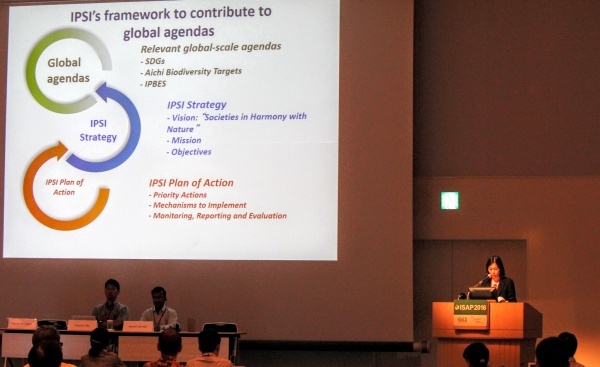 The 2016 International Forum for Sustainable Asia and the Pacific (ISAP 2016) was held on 12 and 13 July 2016 in Yokohama, Japan. ISAP is a major event held each year, with speakers on sustainability from around the Asia-Pacific region and the world. The theme of this year’s event was “Translating Knowledge into Actions towards 2030 and beyond”. The United Nations University Institute for Advanced Studies (UNU-IAS) and the Institute for Global Environmental Strategies (IGES) held a parallel session titled “Integrated Landscape Management: Effective Approaches for Translating Knowledge into Transformative Actions” on 13 July. The event featured experts in SEPLS issues including a keynote speech by Prof. Kazuhiko Takeuchi, Visiting Professor at UNU-IAS and Director and Professor of the Integrated Research System for Sustainability Science at the University of Tokyo, titled “Integrated landscape management through reevaluation of traditional and local knowledge”. There was also a panel session, moderated by Ms. Yoko Watanabe from the Secretariat of the Global Environment Facility, and with panelists Ms. Noriko Moriwake from the IPSI Secretariat, Mr. Yasushi Hibi from Conservation International Japan, and Mr. Jayant Sarnaik from the Applied Environmental Research Foundation. For more information on the event, please see the IPSI website here. IPSI members the Institute for Global Environmental Strategies (IGES) and the United Nations University Institute for the Advanced Study of Sustainability (UNU-IAS) have collaborated to produce an issue of the IGES “Knowledge-Action Linkage Issue Brief Series”. The Issue Brief is available for download from the IGES website here. The IPSI Secretariat recently received some good news from IPSI partners Initiative for Community Health (INCH) and Grains of Hope Mobilization (GOHMO), both based in Malawi, that they have signed a Memorandum of Understanding (MoU) to collaborate in activities promoting SEPLS in Malawi and beyond. This MoU can be seen as a positive outcome of the first Satoyama Initiative Regional Workshop in Africa, held last August in Accra, Ghana, and the Secretariat is greatly encouraged to see that the partnership’s networking activities are having such success. We hope all readers will join us in congratulating the organizations on their MoU, and we look forward to seeing what kinds of outcomes their collaboration produces.